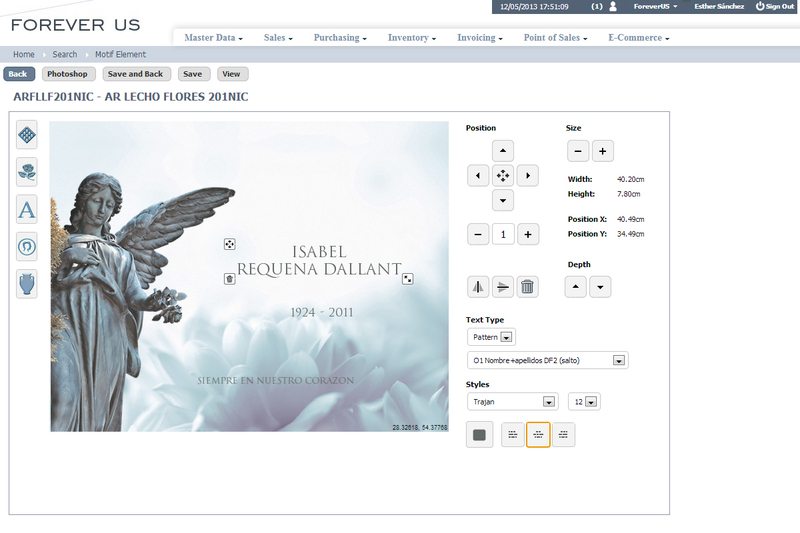 eSengo Forever-us is a web application that allows editing, order management and maunfacturing automation of customized gravestones. 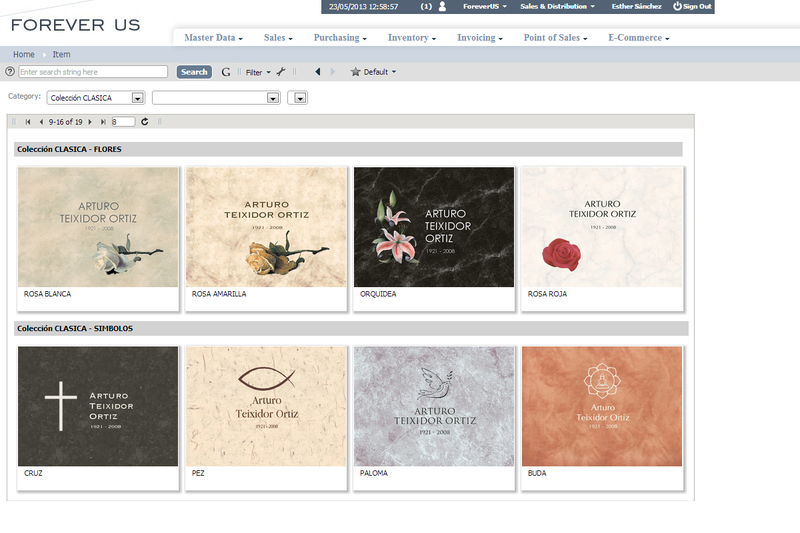 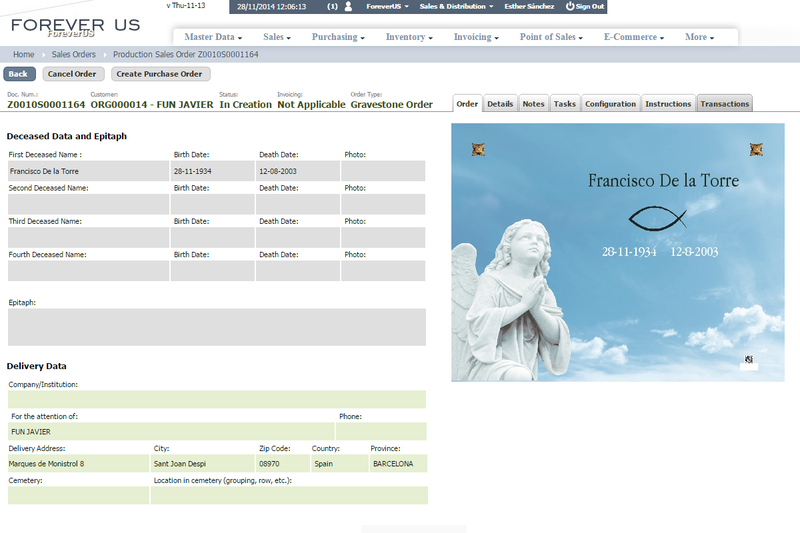 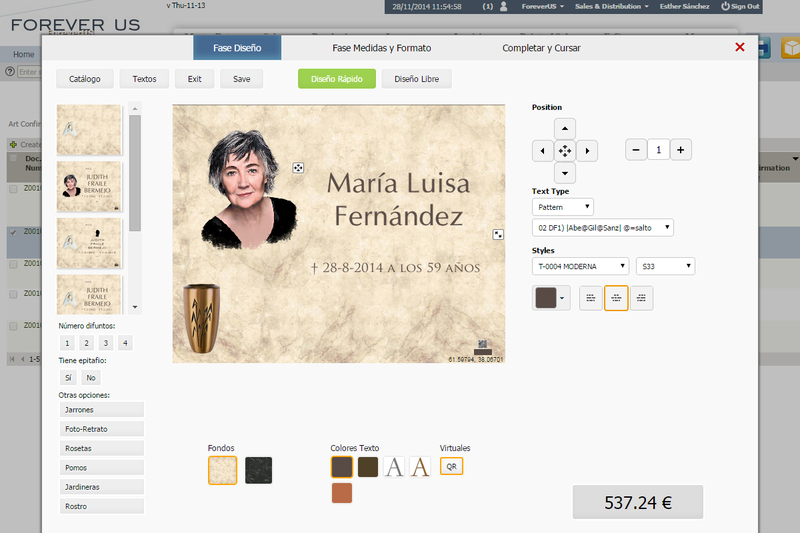 Through an on-line editor it facilitates the creation of tombstones with a totally custom design, adding motifs, portraits, own images or text, as well as indicating all measurements (including arcs) of the stone. 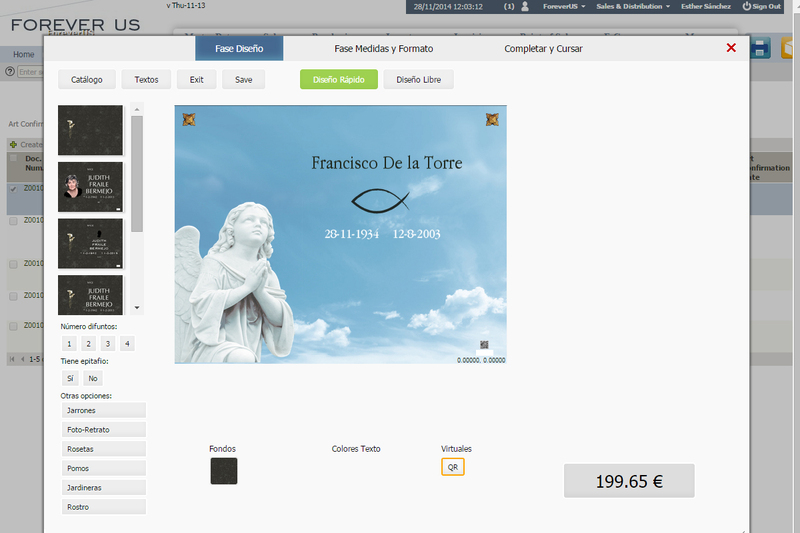 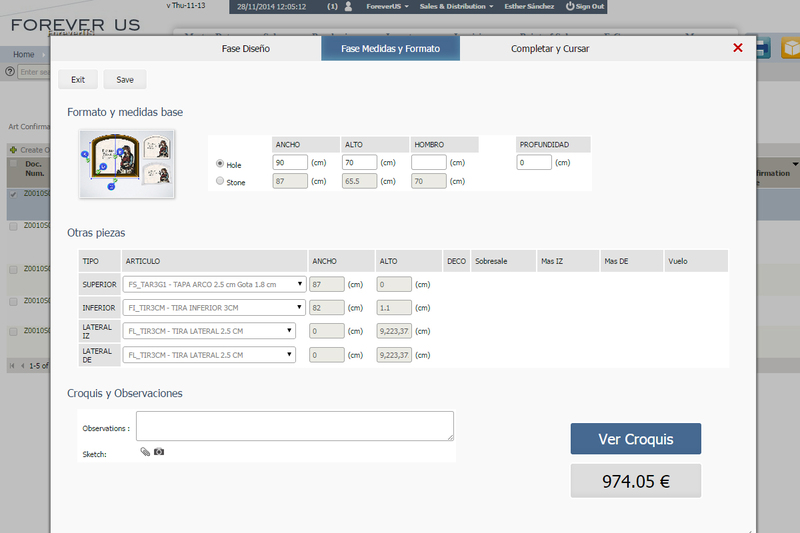 The application also manages the entire process of selling and producing tombstones, automating the decoration of the stone as well as the cutting of the stones through numeric control interface.